Businesses across Scotland are refuting recent comments that they’re “fed up” with talk of Scottish independence, but rather that its fast becoming the most sensible business option for Scotland. 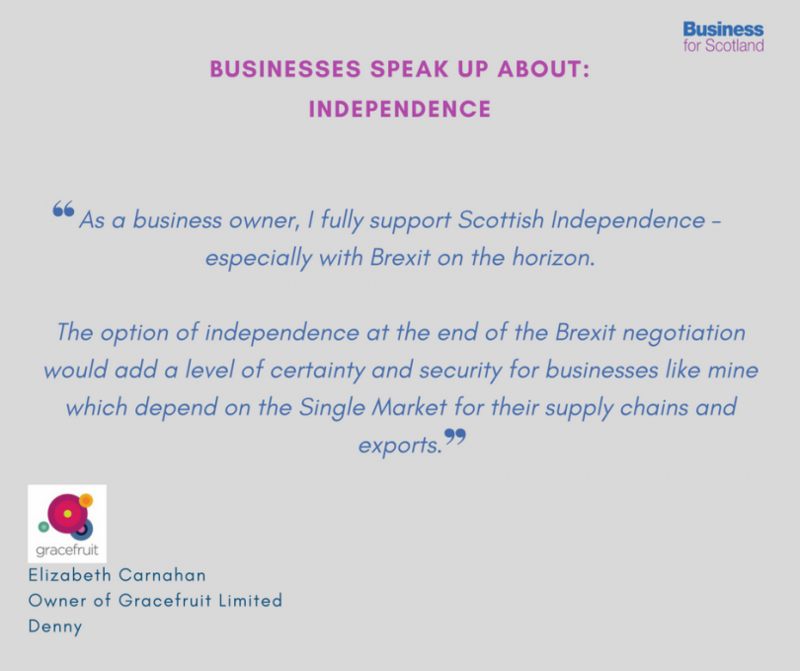 Business owners share their comments on why they think independence and single market membership is vital to their business. Gracefruit Limited was established 12 years ago and sell high quality cosmetic ingredients and fragrances. 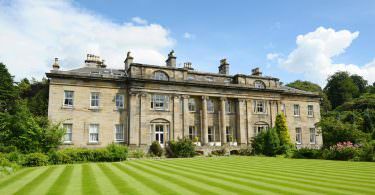 Based in Stirlingshire, Gracefruit Limited trades with clients all over the UK and Europe. Founded in 1998, Scotmas is a Chlorine Dioxide specialist which continuously work on developing new products that purify water to protect again contaminant. 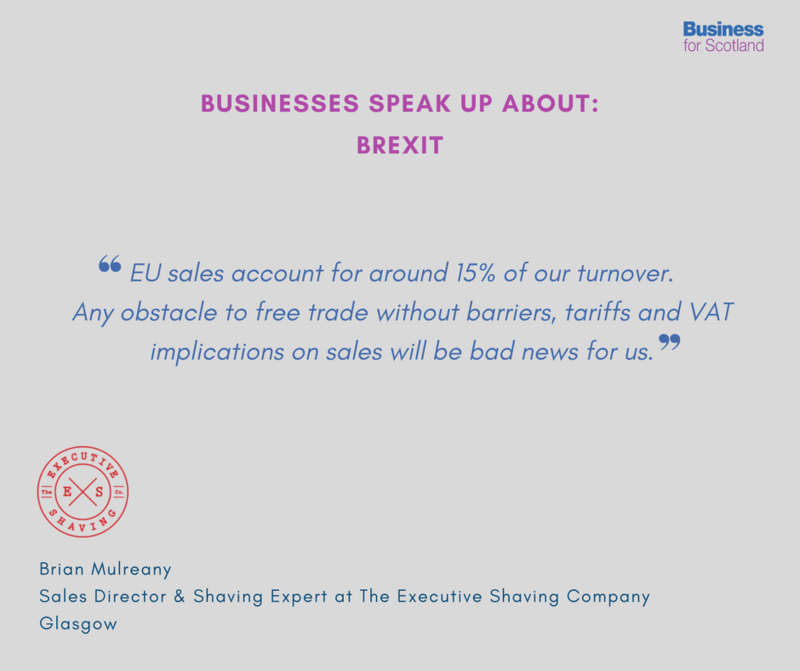 Based in Glasgow, the Executive Shaving Company was established in 1993, their label range includes all natural shaving soap, cream and shaving brushes. 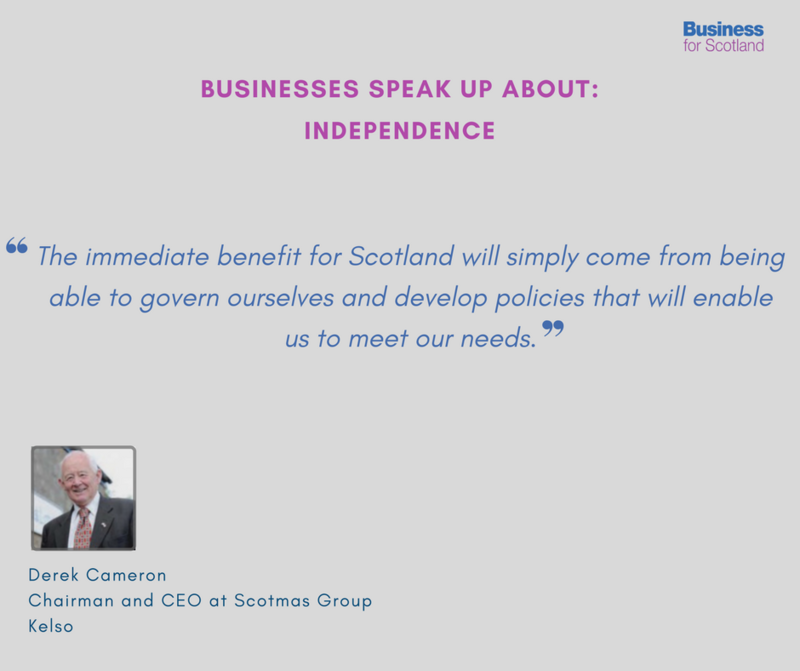 ‘Business Voices for Independence’ is a series of quotes from business owners across Scotland. These will be published by Business for Scotland on a regular basis. Guys, if we come out of the UK we are out of the EU, no trade deals, because the eu does not recognise Scotland as a state, it is a district in the UK to them. So Indy would stop all trade with the EU until the SG can agree a free trade deal this could take years and with a 10% Scottish deficit ( as it is at he moment) a very high risk. Scotland meets all the conditions of single market membership / EFTA membership as a direct result of our decades of membership. EU officials have talked about a transition deal / holding pen for Scotland but until we know the deal that will be done we will not know what deal needs to be done by Scotland. what we will know is whether or not the UK economy is going off a cliff with a hard Brexit and then people can re-evaluate the independence argument based on 1) Is the old style isolationist nationalism focused independent UK the sort of nation we want to be part of or is the civic internationalist independent Scotland more appealing. And 2) which pathway leads to prosperity independence within single market or unionism with whatever relationship to the world markets exists after the deal is done.